Whether its boosting site engagement, providing customer support or publishing FAQs, forums are still widely used by organizations and businesses. In this article, you’ll learn about a popular and easy-to-use forum creator called Simple Machines Forum. We’ll look at what’s under the hood of this application and how you can use it to grow revenue and engagement. I’ll share what you should look for in a Simple Machines Forum host. And I’ll provide a few recommendations for web hosts to kickstart your search. Simple Machines Forum (SMF) is a free application that lets you build an online community, bulletin board, or forum quickly and easily, and without the need for advanced programming skills or heavy use of server resources. SMF started as a commercial project, but in 2010 it re-registered as a non-profit organization headed by a diverse group of individuals from around the world. The team is currently working on SMF 2.1. Internet forums have been around for decades and even before the World Wide Web took off, local bulletin board services and Usenet helped people stay in touch and interact online. Who's Best for Simple Machines Hosting? We think SiteGround is the best choice for Simple Machines. What are the Benefits of Using Simple Machines Forum? Although social networking, user comment sections and instant messaging have replaced and augmented traditional forums in many settings, forums are still quite popular. Who Uses Simple Machines Forum? Simple Machines Forums can be created by businesses, various organizations or simply groups of people with a common interest. Many businesses still rely on forums to improve the depth of user engagement, offer customer support, address frequently asked questions (FAQs), offer tips and advice, or simply boost their online footprint. Why Use Simple Machines Forum? Forums are a low-cost, low-maintenance way of leveraging human interaction and content created by enthusiasts to attract more users and traffic. One of the more popular software packages used to create web forums is Simple Machines Forum (SMF). Simple Machines Forum is written in the HyperText Preprocessor (PHP) language and uses MySQL database management, which means it is built around on some of the most popular industry standards. The use of PHP, MySQL and the fact that SMF is freeware has helped spawn the creation of a large and relatively active development community. What Are the Best Features of SMF? Several “bridges” for seamless integration with several CMS. You can also customize your SMF installation with hundreds of add-ons to enhance security, features, and revenue. SMF is published under the BSD 3-clause license, so while it is open source, redistribution of modified code is subject to several guidelines. SMF 1.0 and 1.1 are published under more restrictive OSI approved licenses, so the distribution of certain modified components may be limited. To some extent, the young and vibrant SMF community – backed by the reliance on PHP and MySQL – compensates for distribution limitations. New custom modules and themes are published on a regular basis and, if necessary, finding developers capable of creating custom themes and tweaks for your forum should not be difficult. Simple Machines Forum deployment is relatively straightforward. Some hosts include SMF as a ‘one-click’ install via Softaculous or Fantastico, but even if your host does not, the installation process is not too demanding and shouldn’t cause problems for most users. Even if your host does not offer ‘one-click’ functionality, chances are it offers a guide for SMF installation and set-up. Simple Machines Forum has a limited footprint and since it is free, the package is a popular choice for individuals and small organizations with limited resources. But, you will still need to find a suitable host. What Hosting Needs Should You Consider for SMF? You will need to make sure your hosting provider supports MySQL and PHP, but you’d be hard-pressed to find a host that does not – after all these are industry standards. While the process can vary depending on the host, usually you will need to download SMF, gain FTP access details for the domain, along with SSH access, sort out MySQL details and proceed to install the package. This usually means you will have to set-up a MySQL database, upload the installation file to your account and unzip it. Check whether your file manager provides unzip and permission functions – it may be necessary to contact hosting support and open a Secure Shell (SSH) session. After that, it is just a matter of using FTP to unzip the installation file and fill out the necessary database details and set up administrator access. SMF support is often found even on basic hosting packages, with or without ‘one-click’ install functionality. SMF is commonly deployed on shared servers, usually Linux, Apache, MySQL, PHP (LAMP) compliant servers. Even entry-level hosting packages support the necessary standards, so it goes without saying that installing SMF on dedicated and managed dedicated servers should be just as easy. If you really wanted to run your own dedicated server, you could practice in a virtual machine in Vmware or VirtualBox before you deployed it on a real server. VirtualBox has an advantage because it’s free and open source. Setting up a virtual server will also allow you to test new versions of software as they become available, so you don’t cause headaches for your users. You can also get familiar with the ins and outs of administration if you aren’t already. That way, you’ll be ready for prime time when you do launch your forum. Forums tend to present a large target for malicious actors, ranging from mostly benevolent trolls to spammers and phishers. Therefore, it is vital to ensure secure file permissions and keep the software up to date with the latest security patches. SMF support offers all relevant information on available and upcoming updates. Why is Security So Important with SMF? The job of keeping up with security is harder with web applications because they have a lot of moving parts: the web server, the database server, PHP, and the operating system itself. All of these can conspire to open up big security holes into your installation of SMF. Do You Manage Your Own Server? The hosting provider on a managed server will keep things updated, but if you’re running your own server, it’s going to take some work to stay on top of updates. You should let your servers updates run and pay attention to new releases of SMF on its homepage. If your hosting provider doesn’t offer Simple Machines as a one-click install (shame on them!) installing Simple Machines is fairly simple, assuming you have an existing LAMP server set up with the latest versions of MySQL and PHP. Create a new database with either phpMyAdmin or your hosting provider’s control panel. Download the Simple Machines installation file from the website. Extract the archive into a folder on your local machine. Upload the folder to your server via SFTP to a directory that the web server is using. Make sure the permissions are set correctly in the directory. It should be readable but not writable by others. Run the installer by navigating to your server in a web browser. The installer will walk you through the process of setting up the forum with basic forum and database settings. The process is described in more detail on the Simple Machines wiki. Since Simple Machine Forums runs on a standard LAMP (Linux, Apache, MySQL, PHP) stack that’s widely supported by the web hosting industry, you have a wide choice of providers. Most of the providers don’t offer SMF pre-installed, but many of them do have it available as a 1-click install. Even if they don’t, it’s still pretty easy to install. The tool above will allow you to search through hundreds of hosts. However, if you prefer to start with a smaller list, here are your best bets for hosting SMF. SiteGround is a solid choice for an SMF installation. Their introductory plans start at $3.95 a month. The basic shared hosting plan offers 10 gigabytes of storage space, which is more than plenty for a small forum. You even get a free Let’s Encrypt SSL certificate for extra security. If you anticipate more users, GreenGeeks has unlimited storage and bandwidth. Their introductory price is only a penny more at $3.56. If you’re looking to manage your own server, Liquid Web offers a VPS plan starting at $50.00 a month. That is plenty affordable and offers all the features you need, including MySQL and cPanel. Simple Machines Forum (SMF) is an open-source application for building online forums and bulletin boards. It is widely seen as one of the best on the market. Why do people use Simple Machines? Simple Machines Forum is an award-winning, open source platform for forum and message board development that is designed to run on servers — even those with limited resources. In addition to being easy on servers, it is also designed to be easy to use for novice web developers. If you are a first-time webmaster and a forum or message board is your ideal platform, Simple Machines Forum is a great platform for you to use. What are the downsides of Simple Machines? Simple Machines Forum has its own software license type. Because of that, the open-source software community isn’t as supportive of this platform as it is others. This individualized license type prevents the source code from being redistributed and also prevents previous versions from being modified without written permission. If you are going to use an open source forum platform, you may want to seek out an alternative to Simple Machines so you can find a larger community for development and support. What are the alternatives to Simple Machines? There are several alternatives to Simple Machines Forums for forum and message board management. Three of the most popular alternatives are phpBB, bbPress and vBulletin. Each of those alternatives has a variety of licence types — phpBB is 100% open-source, bbPress is open-source and available as a plugin for WordPress, and vBulletin is a commercial and proprietary platform. Do I have to know how to program to use Simple Machines? Not really. Unlike many free to use message board platforms, Simple Forums comes with a modified user license that prevents modification and publication of code. Because of that, the programming knowledge needed to move a Simple Machines Forum forward through development needs to be done by the Simple Machines Organization. The programming expertise is on them, not you. If you are going to include spell checking capabilities in your forum, then you will need to install GNU Ansell 0.50+ on your server. There are also a few content management systems out there that can bridge with Simple Machines to add forum functionality, so if you are using one of those, then you will need to download the bridge file. Otherwise, the server requirements for Simple Forums are very standard and will work with almost any server installation. If you need to bridge your Simple Machines Forum with one of those previously mentioned content management systems, then using the one-click installation wizard might not be a good idea. However, if you’re starting your message board and forum from scratch and Simple Machines Forum is available from your hosting provider as a one-click installation, use it. 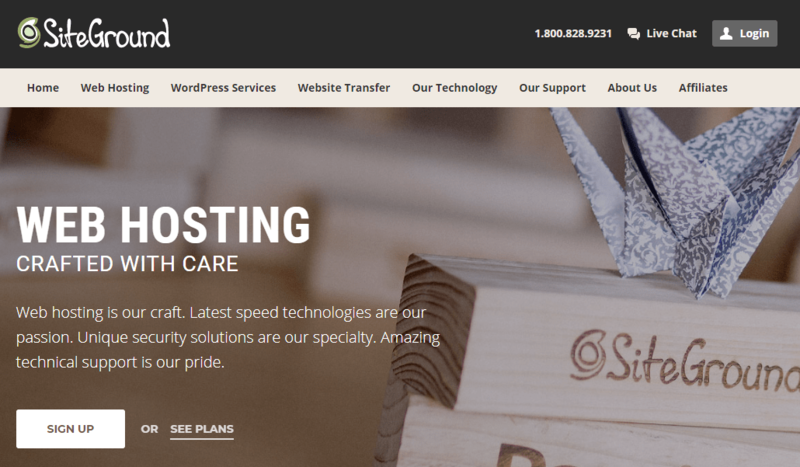 What are the requirements for Simple Machines web hosting? A standard LAMP stack will work just fine for hosting a Simple Machines Forum. LAMP is an acronym for a server configuration that includes Linux, Apache, MySQL, and PHP. While that is a preferred setup, other Unix-based servers as well as Windows servers should work as well, assuming these have the Apache, MySQL, and PHP versions up to date. Can I host a Simple Machines Forum on a shared hosting plan? Many hosting providers do include Simple Machines Forum as a one-click installation, so using it on a shared hosting plan should be fine if your website is just starting out. Make sure your shared hosting plan can meet the minimum requirements for Simple Machines prior to installation. As your forum begins to grow its user base and traffic requirements, you will likely need to upgrade to a dedicated hosting solution (and a virtual one at that) in order to scale your database and storage without service interruption. Self-hosted websites do not require you to personally own a server and manage it to host your site. Instead, self-hosted simply means that hosting is not provided directly by the development team that created Simple Machines Forums. In order to use a self-hosted message board and forum system like Simple Machines, you will need to contract a hosting provider before building your website. Do I need managed hosting in order to use Simple Machines as my forum platform? The more complex your forum and message board becomes with plugins, themes and additional features, the greater your need will be for professionally managed website hosting. If you have a dedicated hosting solution, however, managed services are likely required as part of your agreement, as is the case with any self-hosted platform for all forums and message boards. How does Simple Machines compare to phpBB as a forum platform? Both of these forum platforms are open-source and free to use. That said, their licenses are very different. With Simple Machines, you don’t have access to the codebase to make improvements or modifications. Because of this availability, you are far more likely to find custom themes and plugins to integrate into a phpBB forum than you are to find similar mods for Simple Machines Forum. Depending on how unique you want your forum installation to be, you may want to select one service over the other.